Though it’s only been a few days, mornings have quickly become your favorite time of day in Addis Ababa. You wake up to views of a green park with eucalyptus-covered Mount Entoto in the background. The smell of jebena-brewed coffee lures you downstairs, where eggs, pancakes, and a colorful fruit salad are set out on the large wooden dining table. Antiques, handmade furniture, and lush plants fill the rest of the room. While your hosts have already put together suggestions for your day in the city. 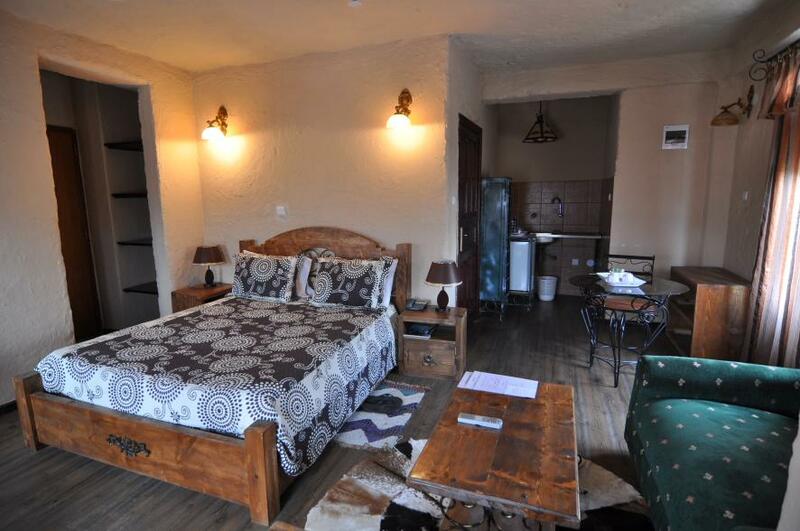 This warm hospitality is courtesy of AREQU, a small guest house in between Bole International Airport (the busiest airport in East Africa) and the center of Addis. At first, you were hesitant to book a room here. It isn’t within walking distance of, well, anything. But a large international hotel just didn’t feel right for your first trip to Ethiopia. So the free shuttle, the rustic vibe, and the friendly attention promised here eventually won you over. Addis Ababa is a colorful, chaotic, and fascinating city. Ethiopia’s capital and largest city—founded by Emperor Menelik II in 1886 —sits in the center of the East African country. Both the city and the country were occupied (in the first half of the 20th century), but never colonized, by Italy. Ethiopia and Addis are therefore the oldest independent country and capital city in Africa. So Addis has a different vibe than many African capitals. Since Italy only invaded Ethiopia, there’s no colonial architecture in the city. There weren’t wide roads or even street names for a long time either. It was home to Africa’s largest open-air market and an octagon-shaped cathedral, built to commemorate the victory over the Italians, though. It’s now home to the African Union, the United Nations Economic Commission for Africa (the ECA), and lots of construction, as well. 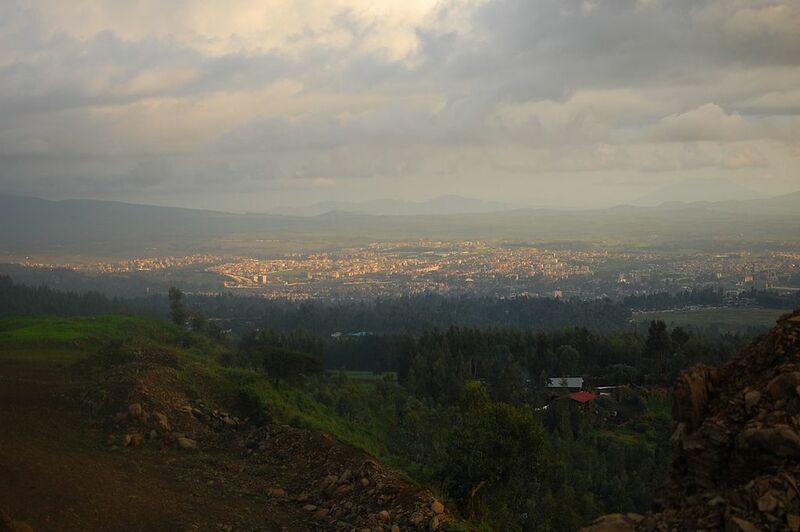 Your first full day in Addis was perfectly planned. You started in Meskel Square, passed Africa Hall (the ECA headquarters), gawked at the National and Menelik Palaces, and paused at the Lalibela Cross-shaped Hilton Hotel. The midcentury-modern Ministry of Foreign Affairs and the ornate Holy Trinity Cathedral followed. Then you took your time in the National Museum of Ethiopia. Its exhibits are intriguing since Ethiopian civilization is among the oldest in the world. You even saw the partial skeleton of Lucy, a fossilized hominid estimated to be 3.3 million years old. By the time you finished at the museum and walked to Sidist Kilo, where a monument commemorates the people killed by Italian troops, you were ready for another strong coffee and injera. The caffeinated drink originated here, and the flatbread is the national dish. Tej (wine brewed with honey), tella (home-brewed beer), wot (a thick stew), and live jazz music eventually followed. Thanks to your little hotel, you knew just where to go to get a real taste of Addis.